The Supreme Court (SC) of Pakistan has finally dismissed Jahangir Khan Tareen’s review petition, filed by him after being disqualified for life alongside former premier Nawaz Sharif. Tareen was found to be dishonest under article 62(1)(f) of the Constitution, read with Section 99(1)(f) of ROPA, due to him concealing SVL, an offshore company also known as ‘Hyde House’, which he failed to declare in his nomination papers. By submitting an untrue statement – that he had no beneficial interest in SVL – he proved his dishonesty in the eyes of the law. Tareen always maintained that the verdict against him was given on technical grounds rather than on the basis of forgery or corruption. Imran Khan also publicly maintained that the Pakistan Tehreek-e-Insaf (PTI) would submit a review petition against the verdict, and was confident Tareen would come out clean and victorious. However, the SC bench headed by Chief Justice Saqib Nisar did not take long to dismiss the review petition, ultimately ending the possibility of Tareen’s return to electoral politics. Ironically, it was Tareen who eventually convinced Imran and other top PTI leaders to take to the court with the case against Nawaz, seeking his disqualification on the basis of concealment of assets. Tareen also hired forensic companies in the UK to trace suspicious activities in the Sharif family business, and was the man behind PTI’s legal strategy in the case against the Sharif family. Tareen could not have predicted that the tactics he was using to oust his opponents would one day haunt him as well, and eventually end his political career. Now there is no going back on calling Tareen guilty of concealing assets and taking money out of the country via undisclosed means. However, he is lucky the SC has not ordered a joint investigation team (JIT) to probe his offshore companies and the alleged money laundering allegation. Since the larger section of the electronic media has taken a very soft stance on this matter, Tareen has resultantly never been criticised the way Nawaz, Asif Ali Zardari, and PTI’s other political opponents have. In fact, his crimes are always underplayed to make it seem as if they were not that big of an issue at all. It is pitiful that even after getting his review petition dismissed, nothing substantial has been discussed in the mainstream media about Tareen’s crimes. 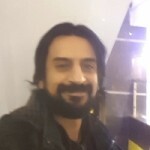 Had it been Zardari or Nawaz instead, we could expect round-the-clock news bulletins reminding the public of the verdict, alongside talk shows discussing how money laundering and offshore companies have damaged the country’s economy. However, being a close aide of the prime minister, Tareen enjoys the luxury of staying in favourable public opinion and not being criticised openly by certain quarters of the media. Throughout his career, Imran has been a critic of those politicians who keep their money and assets abroad. But despite publicly claiming he would distance himself from Tareen if the review petition was dismissed, the premier continues to turn a blind eye to Tareen’s crimes and the SC verdict against him. Is this not yet another hypocritical policy by Imran? Is this not yet another U-turn by the PTI? If Imran can lock down cities and stage protests against Nawaz simply due to allegations of asset concealment and offshore companies, why then does he not take action against his own aide who has clearly been accused of the same, and that too by the highest court in Pakistan? This is because Imran heavily depends on Tareen for his shrewd political strategies to run Punjab. It is circulated in circles that current Chief Minister of Punjab Usman Buzdar is just a puppet, while it is Tareen who runs the show in this critical territory. Perhaps Buzdar was appointed with the hope that Tareen would get a clean chit from the court and would eventually return to electoral politics to become the next chief minister. Imagine Tareen sitting in cabinet meetings and influencing policies related to price hikes in sugar and seeds will undoubtedly benefit his sugar mills and fertiliser companies – is this not a clash of interests between a politician and a successful businessman? While this dismissal has not affected Tareen’s continuously dominant role in the policy-making of PTI’s government, it does raise more questions on what exactly Imran’s brand of ‘clean’ and ‘honest’ politics is. Once again, Imran proves he has double standards when it comes to the morality and ethics of his own party men and friends. From Aleem Khan and Babar Awan to Tareen, aides are forgiven for their sins and held as assets for the PTI. Tareen’s journey from a lecturer to a billionaire business tycoon, benefitting earlier from Pervez Musharraf’s regime and now from Imran’s government, only highlights the bitter reality of the exploitative political order of our country. The more you are capable of exploiting the political system, the wealthier and more well-connected you become. Consequently, you become a need for the survival of the current political order, and thus manoeuvre political proceedings in your favour. 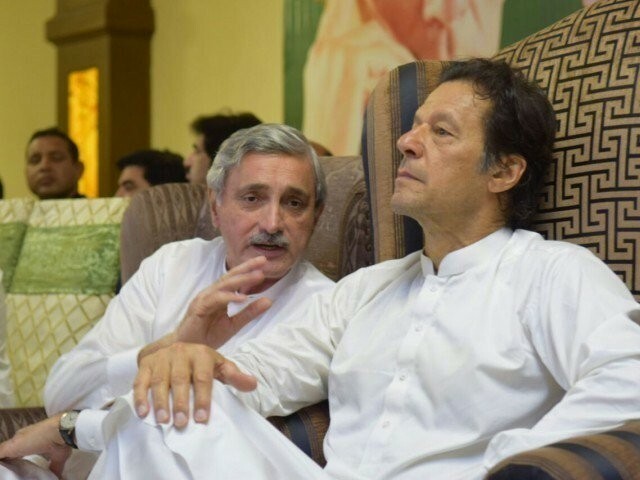 Tareen has been instrumental for the PTI, from bringing in the independents to forming the government in the centre, and is undoubtedly Imran’s most trusted aide. Until now, Imran has not issued even a single statement regarding the dismissal of Tareen’s review petition. This indicates Imran is more focused on keeping a firm grip on power – the ultimate sign of playing power politics – and is not focused on the morals, ethics and principles of politicians. The questions remains: will Imran distance himself from Tareen and ask him to end his political activities, or will he continue to remain silent? For Tareen, he is surely regretting the moment he decided to haunt Nawaz by levelling allegations of dishonesty against him; perhaps he forgot that what goes around comes around. The same goes for Imran as well, for after declaring himself ‘Mr Clean’, it is inevitable for him to now get rid of Tareen, or risk losing the moral authority to criticise his opponents for the same crime. The dry-cleaning services within the PTI that wash away all the sins and wrongdoings of anyone joining its ranks may have been effective during the electoral campaign, but will not be effective any longer. It is high time PTI realises that there is a vast difference between fighting to gain power and actually experiencing power from the side upon which the grass isn’t always so green. Humza, your Son of the Soil gibberish is always good for a laugh. Your undying support for your liege lord and master Darbari Nawaz is pathetic. And very sad. Do remember, Tareen, has a history and a paper trail, of working hard and investing his money wisely,…and becoming very rich. While Darbari Nawaz is unable to prove where he got the money to buy these 19, repeat, 19 properties in London. They are all in the name of his sons and daughter, Maryam. In the early 90’s, his son Hassan, was a teenager, going to college, in England, with no job, was somehow, able to buy these 4 very expensive apartments, that cost more than a million pound sterlings!!! The money came from heaven!? Huh? It is people like you who, with their ethnic and provincial, support of corrupt leaders, who have brought Pakland to it’s knees. But everyone still want to know about the Sharifs, the apartments in London, the two absconding sons, the Qatari prince and his letter. Ooops! So sorry. Forgot about the the absconding ‘former’ finance minister and samdhi of Nawaz, Ishaq Dar.